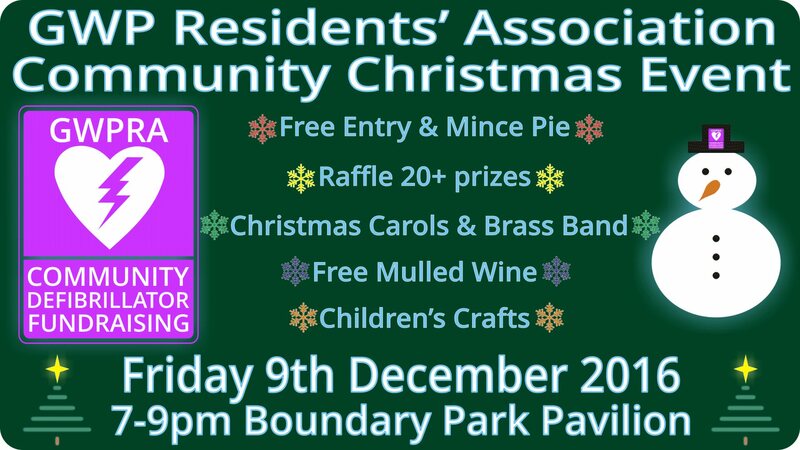 The November Great Western Park Residents Association is due to take place next Thursday, 1st December at 7.30pm. The meeting will take place at the Pavilion, Boundary Park. The bar will be open from 7.00pm if residents want to arrive early and get a drink. the Community Defibrillation Officer for South Central Ambulance Service and the Arts Development Officer for VOWHDC. The agenda for the meeting can be found on the Facebook Group. Also, just a reminder that our Christmas event is taking place on 9th December.